Bob is a Principal and Founding Member of Premier Development Group. 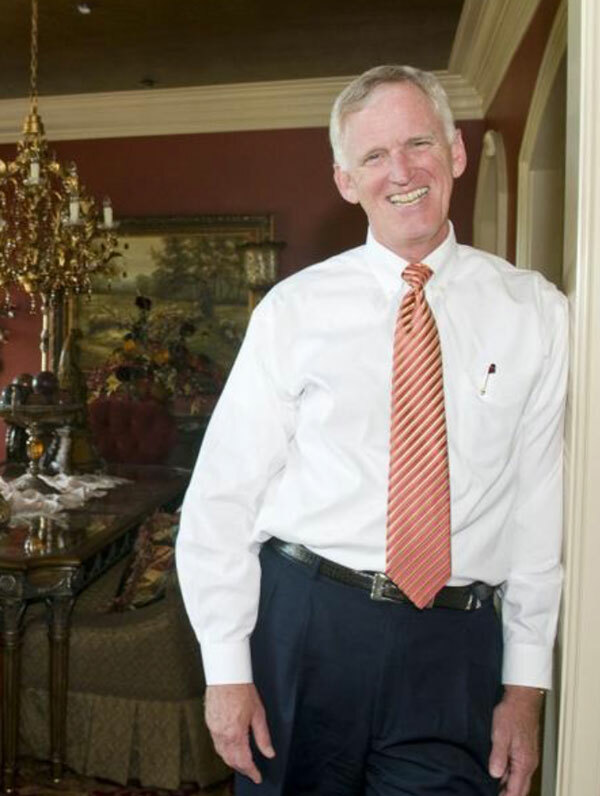 Bob is also the Owner and CEO of Parks Realty, a Tennessee based residential real estate company specializing in residential real estate sales and relocation and move management services. Parks Realty presently maintains 16 offices with over 800 licensed real estate agents over two states. Following his graduation from Middle Tennessee State University in 1970, Bob began his career as an underwriter for State Farm Insurance. A short time later he purchased his first home, the catalyst that landed him where he is today. In 1972, Bob became a licensed realtor and joined Clark Maples Realty in Murfreesboro, Tennessee. After spending three years as an affiliate broker, Bob decided to put some his philosophies to work as broker of his own real estate company and formed Bob Parks Realty. Bob would later expand his real estate business forming The Premier Property Group in Florida in June 2007, and subsequently, through the partnership with JGM Development Group, would go on to become a Founding Member of Premier Development Group. Keith is a Principal and Founding Member of Premier Development Group. Additionally, he is ranked as one of the top real estate agents of The Premier Property Group. Keith specializes in the marketing and sale of high-end individual properties located along the Gulf Coast. Prior to his relocation to Rosemary Beach in 2000, Keith served as Chief Financial Officer for a healthcare company in Nashville and is a graduate of the School of Accounting at The University of Alabama. Garrett serves as the Chief Executive of The Premier Group and is also a Principal and Founding Member of Premier Development Group. Additionally, Garrett was founder of JGM Development Company, LLC which prior to its merger with Premier Property Group developed over $100 million in volume from 2009 – 2014. In addition, JGM was a founding member and manager of Ark Real Estate Strategies, a real estate advisory, management and investment firm. ARK worked with financial institutions to dispose of their foreclosed real estate assets and raised and managed a $22 million real estate fund. Prior to that, he served as President & CEO of The Sterling Companies where his tenure lasted more than 10 years. Garrett began his career with The Sterling Companies as Project Manager for the Sterling Beach Condominium Resort in Panama City Beach working his way up to President & CEO while the company grew to over $1.5 billion in active development. Upon graduation from college, Garrett worked with The Scowcroft Group analyzing foreign business opportunities for US corporations. He later developed strategic alliances with major vendors for Saks before joining the Sterling team in 1999. In 2007 he was named Honorary Commander of the 60th Squadron with the 33rd Fighter Wing at Eglin Air Force Base in Northwest Florida. Jason serves as Chief Financial Officer for Premier Development Group. In addition to oversight of corporate finance and accounting, Jason’s responsibilities include project acquisition, underwriting and due diligence. Jason entered the real estate development industry in 2014 serving as Chief Operating Officer for Fountain Investments, Inc. Through his position at Fountain Investments, Inc., Jason went on to serve as a Principal and Manager of Regal 30A, LLC, a $10 million real estate fund raised by Jason for the purpose of the acquisition and development of Thirty-One, and condominium project later purchased by Premier Development Group. Jason joined Premier Development Group in 2015 in conjunction with the purchase of Thirty-One. Jason began his career as a Mergers & Acquisitions Attorney with the New Orleans based law firm Baldwin Haspel Burke & Mayer, LLC. During Jason’s time with Baldwin Haspel Burke & Mayer, LLC, Jason was responsible for managing the purchase and sale process of more than forty closely held family businesses with transaction values ranging from $10 to $500 million. During his 10-year term with Baldwin Haspel Burke & Mayer, LLC, Jason and the members of his team closed more than $2 billion in total transaction value. Jason is a graduate of Louisiana State University (B.S. International Trade and Finance) as well as the Loyola University of New Orleans College of Law (Juris Doctorate) and the Fredrick G. Levin College of Law at the University of Florida (LL.M., Masters of Taxation). Jason currently serves as Chief Operating Officer for Premier Development Group. Jason began his real estate career in 2003 as a Project Manager for Crescent Resources, LLC, where Jason was responsible for the management of Crescent’s single-family residential and condominium properties in the Florida Panhandle and West Florida. In this role, Jason was responsible for the acquisition, development and management of over $150 million in assets, including the 339-unit Waterscape Resort in Fort Walton Beach, Florida. Jason later accepted the position of President and General Manager of Alys Beach where he was responsible for the development and management of the Duany Plater-Zyberk-designed town of Alys Beach. Jason joined Premier Development Group in 2016 upon his departure from Alys Beach. Jason earned his Bachelor of Science degree from the University of Alabama and a Master of Business Administration degree from the Fuqua School of Business at Duke University. Vic serves as Chief Development Officer for Premier Development Group where he is responsible for construction project management, state and local permitting, as well as construction budgeting and quality control. Prior to joining Premier, Mr. Anderson was the Chief Development Officer for The Sterling Companies where he led a team responsible for the overall project management of condominium projects including Seafarer, Sterling Sands, Sterling Beach, Sterling Shores, Sterling Reef, Splash, Reflections, One Water Place, and Sterling Breeze. In addition, Mr. Anderson was a partner in Kelly Plantation, an award-winning golf course community in Destin, Florida. Upon graduation, Anderson went to work constructing and opening Holiday Inns all over Florida. Once on his own, Anderson built, owned and managed numerous hotels, bars and restaurants along the Gulf Coast including Deville Hotel, Blue Horizon Hotel, Summerhouse Restaurant, The Robert E Lee Showboat and Pandora’s Dinner Club. Mr. Anderson graduated from Florida State University with a Bachelor of Science degree. He is a licensed Realtor in the state of Florida and is a CAM licensed property manager. Michael currently serves as Chief Marketing Officer of Premier Development Group. Upon graduation from Rhodes College, Michael joined V.R. Halter & Associates in Atlanta, GA, a real estate consulting firm focused on strategic planning for residential development. While employed by V.R. Halter & Associates, Michael served as a marketing consultant representing some of the country’s leading real estate firms including Disney Development Company, Crescent Resources, John Wieland Homes & Neighborhoods and Trammell Crow Residential. In 2006, Michael moved to Destin, Florida to join The Sterling Companies, a full-service real estate development company with over $1.5 billion in active development at the time. At Sterling, he served as Director of Marketing where he was responsible for coordinating the sales & marketing campaigns for several high-rise condominium projects with total project costs exceeding $200 million.